Orange County’s Premiere Oculoplastic Surgeon! Richard Weiss M.D. is a board-certified and fellowship trained oculoplastic surgeon who specializes in cosmetic and reconstructive eyelid and eyebrow surgery, mid-face lifts and lower lid fat transposition, and laser skin resurfacing (also known as laser skin rejuvenation) with the CO2 laser. 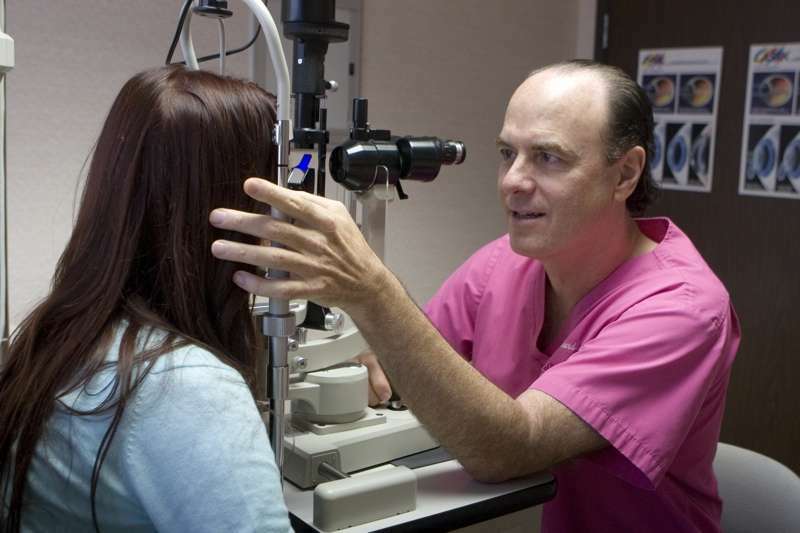 He is also one of the most experienced physicians in the use of Botox and cosmetic fillers, Dr. Weiss is a board-certified ophthalmologist and has taken further extensive training in Ophthalmic Plastic and Reconstructive Surgery. Dr. Weiss received his medical degree at Temple University School of Medicine in Philadelphia after receiving his undergraduate degree at New York University in Manhattan. He completed his ophthalmology residency at Georgetown University in Washington, D.C. He has taken special fellowship training in ophthalmic plastic and reconstructive surgery at the University of Toronto, one of only twenty training positions available in this field yearly in North America. His most recent research interest and invention involves a device and method for painless transcutaneous injections. Dr. Weiss completed a study in 2007 (Press Release) to evaluate the safety and efficacy of a new Botox injection method. This method involves the use of a new invention, the Weiss Comfort Shield (not yet commercially available), that has been proven to decrease or eliminate injection discomfort. Click for video demonstration of Weiss Comfort Shield during Botox procedure. Other research interests are involved with techniques and inventions to make laser vision correction more safe and predictable. He has presented papers on various aspects of this research at many of the major international refractive surgery meetings. Constantly striving to bring new and innovative techniques to his practice, Dr. Weiss regularly participates in seminars and workshops both nationally and internationally. He has been a visiting surgical consultant in many areas of the world including Haiti, India, Barbados, South Africa, Canada and Mexico. Dr. Weiss is the Chairman and Founder of the Botox, Blephs & LASIK: Strategies for Success with Elective Ophthalmic Procedures conference, a landmark symposium bringing together plastic surgeons, ophthalmologists and dermatologists, for three days of scientific presentations and hands-on workshops. He was a Senior Instructor for the American Academy of Ophthalmology providing formal instruction on Botox for blepharospasm, hyperhidrosis, migraine and cosmetic uses. Dr. Weiss, a musician, was inspired to create the One World Sight Project, Inc. by a song (One Spirit) that he wrote about the plight of the blind in 1988. This project is a non-profit organization that is working with the international ophthalmology community (including technical advisers from the World Health Organization and the International Agency for the Prevention of Blindness) to form a cooperative venture in which the goal is to cure needless blindness in developing countries.